View our feature on Karen Chance's Embrace the Night. Read Karen Chance's posts on the Penguin Blog. About Karen Chance (Author) : Karen Chance is a published author. 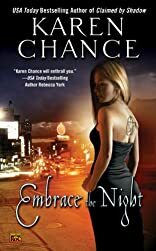 A published credit of Karen Chance is Embrace the Night (Cassandra Palmer Series, Book 3).